The 079e is a 10k Ohm sensor ideal for floor temperature sensing in under floor heating applications. The thin casing allows for retrofit installation between tile spaces if necessary. 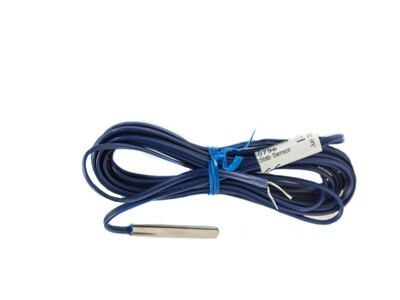 This sensor is designed to provide a thermostat or room controller with the ability to maintain a minimum slab temperature, or help to limit the maximum slab temperature.